We are compelled to both escape from and find meaning in the emptiness stirring inside of us. Unfortunately, without a method to channel these frustrations, we will not find an escape.” Have you ever asked yourself the famous question, “What is the meaning of my life?” Maybe you sensed the world as it appears in your senses is lacking something. A spiritual world that is blind to most people awaits you. In it you will find your true self. 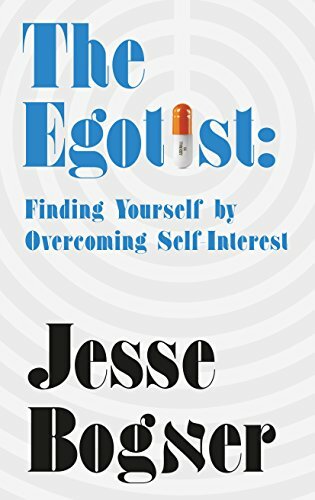 The Egotist’s author, Jesse Bogner, felt the same need to search for something beyond what he could see with his own eyes. His earth-shattering debut tracks his development from a hedonistic New Yorker whose only solace from suffering comes in the form of aesthetic pursuits, drugs and alcohol to a Kabbalist on a path to find the meaning of life. Holding a mirror to the nature of the world and to his own life, Bogner illuminates the world in a state of crisis in need of redemption. This book offers a glimpse into the misunderstood world of Kabbalah and how the collective plea of Kabbalists has the power to correct the egos of individuals and the world at large.